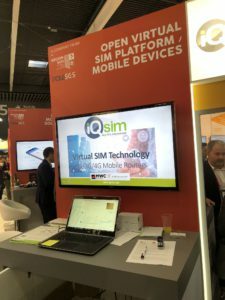 Yes, as always we were exhibiting at Mobile World Congress 2019. Same booth, on the French Pavillion, and exact same location since … Years! We were pleased to receive each of you and discuss about our products and potential projects. Thank you all for visiting us!